Grandvision has grand plans. the world’s largest network of optical retail stores is far along the path from historically being supplier-led to having a strong demand driven supply chain. Rhiannon Davies, joined in 2012 to implement the new supply chain, bring about global compliance and leverage potential efficiencies to drive the strongest conditions and service to customers. “In the last three years we’ve developed our strategy, centralised procurement, purchasing and manufacturing aligned our portfolios across all categories globally and developed our exclusive brands portfolio. And we are still on a journey with many more opportunities,” the Vice President Supply Chain says. GrandVision has around 6,100 stores in 44 countries which are visited by over 150 million customers annually. Many of these stores are recognised under banners such as Apollo-Optik in Germany, Générale d’Optique and GrandOptical in France, Pearle in the Netherlands, Belgium and Austria and Vision Express in the United Kingdom, Ireland, Poland, Hungary, the Middle East and India to name just a few. The company is publically traded on Euronext Amsterdam since the IPO in February 2015. 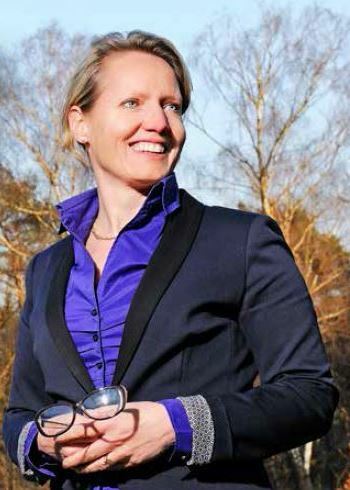 In 1996, the Dutch investment firm HAL entered the optical market when it acquired the Dutch and Belgian operations of Pearle Vision. After that it quickly went on to buy many other optical retailers including the French based, multinational GrandVision SA in 2005. Pearle and GrandVision were merged in 2011 making it the right moment to align the very fragmented business. The company’s primary business remains optical care providing in-store eye testing and diagnostics services to its customers. Its deep portfolio of exclusive brand and designer brand frames, lenses, contact lenses and sunglasses is selected by a central team for global distribution. What is your current responsibility? 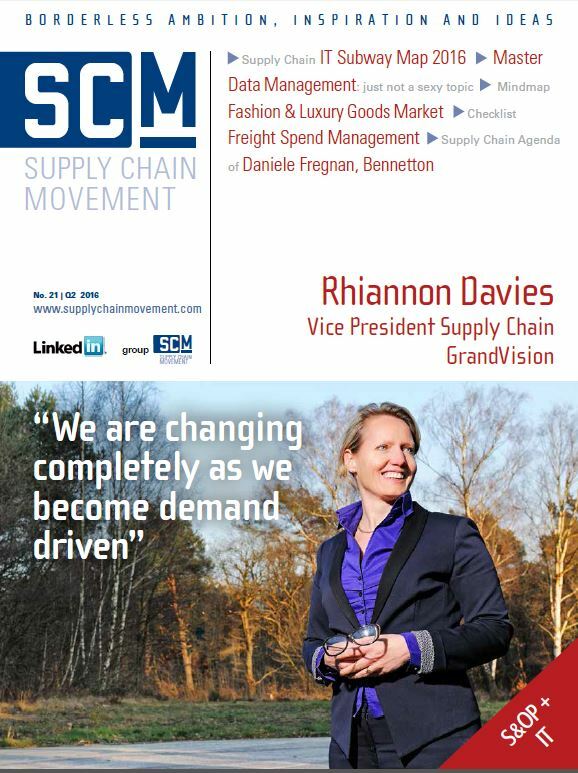 What does the change from supplier driven to demand driven mean for the supply chain? “We recently set-up the GrandVision Supply Chain company in the Netherlands to centralise purchasing and operations in order to become more efficient. For example, we used to have 46,000 SKUs, 250 suppliers and 350 different brands in our private label frames and sunglasses portfolio. Now we have 4,000 SKUs carefully segmented into 21 exclusive high quality brands, which we sell globally, and 16 suppliers that are currently in China and Italy. We are transitioning our Chinese supplier base to other regions such as Bangladesh and Vietnam for labour cost and quality reasons. Together with Kuehne & Nagel we have built consolidation centres close to production where we do quality checks on-site rather than wait until product is in Europe. Now all our exclusive brands – 60% of our frames – come via these consolidation centres to a central warehouse in Rosenburg via our consolidated supply chain flow and are distributed to all GandVision countries. It is a very significant change. The new operations team that runs the consolidated flow of exclusive brands are fully managing the rolling order forecast, order management, product availability, transportation and quality control.